Jobs Description: Pakistan Civil Aviation Authority Jobs April 2019 can be viewed in our site. The Government of Pakistan recently announced an advertisement for Jobs of Additional Director Security and Additional Director in the PCAA (Pakistan Civil Aviation Authority). PCAA is a public sector, which headquarters is in Jinnah International Airport Karachi. 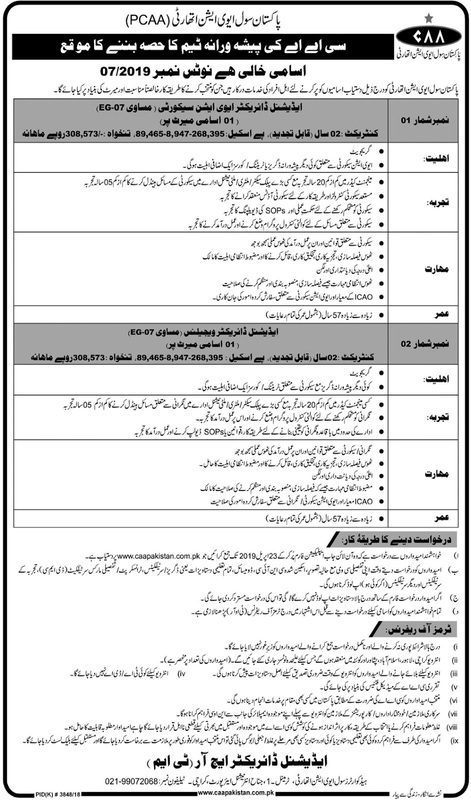 Pakistan Civil Aviation Authority has required the applications for the following jobs. How To Apply: The interested candidates may apply online through the Pakistan Civil Aviation Authority (PCAA) official website.